In the spirit of gratitude, Artisan 57 hosted its 4th Annual Appreciation Event for our clients and community last week. Greeters wrapped each guest in a warm pink or gray pashmina – appropriate for the fall-like weather outside – and our atrium was a blur of soft scarves for the evening. What a delight to see our clients and their mothers, sisters, friends, or even husbands wrapped up! 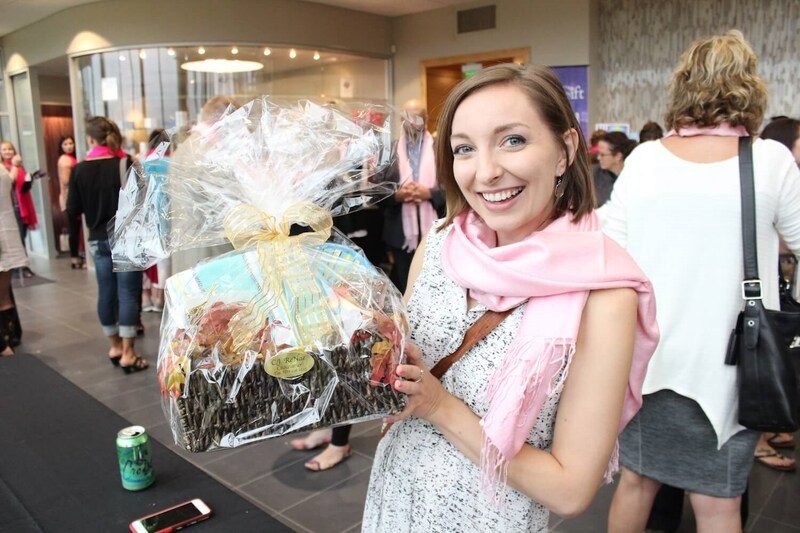 We wanted to celebrate our clients in the best way we know how: fun, food, friends and fabulous prizes. So, local artisans as well as national product vendors joined us in offering $15,000 worth of products, services, upgrades, chocolates, wine and beer. Dr. Alison Tendler announced the biggest giveaway during her introduction: “We’re blessed and grateful for everything we have and we wanted to start giving back. That’s why we have Children’s Home Society here this evening.” For the first time ever, Artisan 57 gave away a Halo with PRP treatment (read about Dr. Tendler’s Halo Experience here) through a raffle benefitting Children’s Home Society of South Dakota. The show-stopping prize helped Children’s Home Society raise over $2,000 by the end of the night, proving just how generous and wonderful our clients are! Thank you for making it possible and congratulations to Talia on winning the Halo with PRP. The Appreciation Event has become an Artisan favorite because we get to host our favorite vendors and clients in one place to share skin care secrets, try new products and laugh together. All of you are gifts in our lives. Cheers to you!